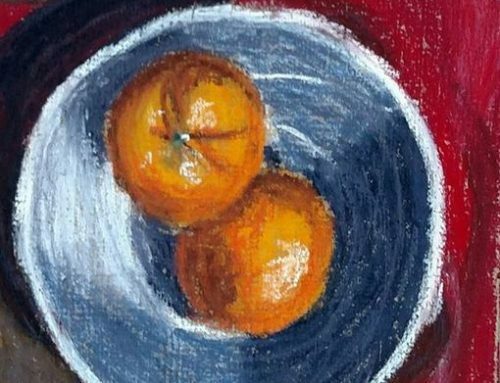 The South Arkansas Arts Center will host its fourth annual 5×5 Art Dash on Sunday, May 5, in the Merkle Gallery. This is your chance to attend a fundraiser and leave with a “door prize” that is worth more than the ticket price! Tickets are $55 per person and are available at the SAAC office. 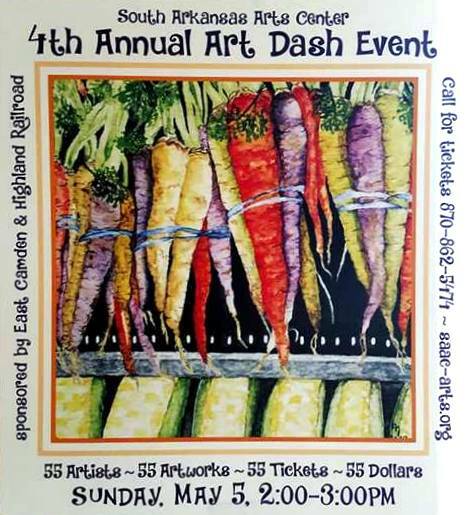 The Art Dash is sponsored once again by East Camden and Highland Railroad. The doors will open at 2pm for cocktails, light hors d’oeuvres, and viewing of the 55 paintings. The dash will begin at approximately 2:30, and each ticket holder will walk away with a prized 5×5 piece of art donated by local artists as well as regional artists who have exhibited their work at SAAC. In addition to those artists who regularly contribute artwork, there are a number of new artists this year. Artwork has been donated for this fast and furious event by: Tracy Alderson, Amy Allen, Susan Barnes, Sandy Bennett, Angela Blann, Scott Brown, Stephanie Brown, Liz Butler, Kelly Campbell, Michele Clark, Margaret Combs, Melinda Dodson, Christy Edmonds, Treasa Evans, Gary Hall, Annaleigh Harper, Rhonda Hicks, Danny Hobbs, April Hoover, Beth Hubbert, Missy Inman, Brenda Keech, John Keech, Nancy Rae Kinard, Helene Lambert, Emmaline Landes, Shelley Landes, Pat Lowery, Becki Lusk, Mike Means, Selene Mondragon, Chrystal Osborn, Melania Osborn, Ann Palculict, Spencer Purinton, Lee Scroggins, Renee Skinner, Liz Slater, Julia Slaughter, Jerri Beth Smith, Cindy Snelson, Douglas Stanton, Christy Stone, Marla Tomlinson, Ann Trimble, Susan Turbeville, Pam Vernon, Jorge Villegas, Maria Villegas, Paul Washcka, Hayden White, Betty Wilson, and Emily Wood. With only 55 tickets available, this is the most exclusive event hosted by SAAC each year, and tickets go quickly! For more information on the 5×5 Art Dash, please call the SAAC office at 870-862-5474. SAAC is located at 110 East Fifth Street, El Dorado, Arkansas.